Welcome to the best view on Eden. We hope you enjoy your stay! Oceanfront home offers the perfect west coast beachfront vacation retreat on beautiful Utah. 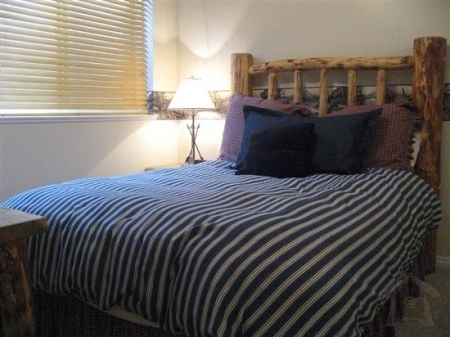 The condo can comfortably accommodate six people to a maximum of eight. 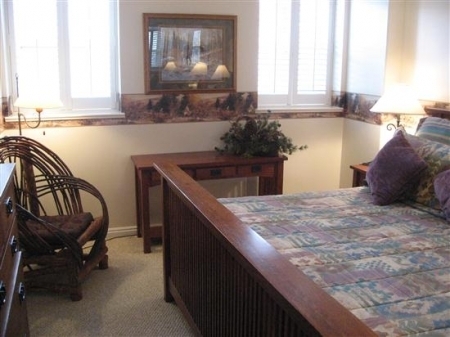 The master loft bedroom has a queen size bed, while the lower bedroom offers two twin beds. The loft is accessible by a short ladder to a trapdoor. A double foamier is available if required. The condo is an open-plan living room, dining room and kitchen area cottage. Featuring a full kitchen equipped with a bread maker and microwave. The living room has a wood burning stove, stereo and color TV with a DVD player. Other amenities are a washer and dryer and telephone. 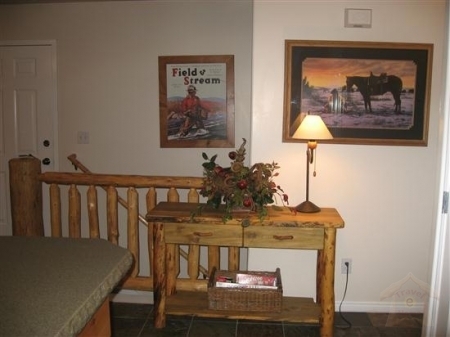 The condo also provides an outdoor fire pit, outdoor hot tub, and deck with patio furniture. A back-up generator is on site in the event of a power failure. Our condo is located on a wonderful island with many recreational activities including hiking, biking, swimming, golfing, and great restaurants nearby. Call to get specific rates for length of stay and amount of people in your group. So come and pamper yourself in this one of a kind luxury state!